The Olde World Iron ensemble will complement fireplaces with it's simple lines and sturdy construction. 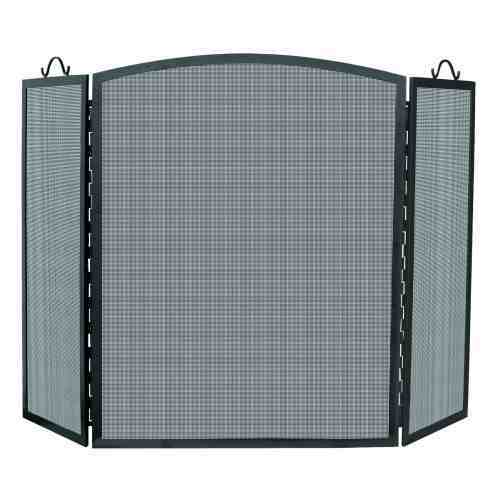 The three fold screen measures 56'' W x 36'' H, providing ample protection for larger fireplaces. The side panels are 12" wide.